Discussion in 'Off Topic' started by Greenhawk, Mar 11, 2019. My only request is to at least keep this thread authentic by at least writing a few sentences of what you do, if possible. It doesn't have to be a memoir or an autobiography but..ya know! I make my living as a graphic designer. Game development is a hobby. Hopefully I figure out a way to make money off making games. - experiment with stop motion animation. I'm currently studying Computer Science and am a programming hobbyist. My current project is data analysis on Discord channels. The process is to A: download chat logs and B: extract data and export to Excel files. Basic stuff like word/profanity density or post count but I plan to expand that. You can check it out here. I play osu! and have wasted quite a bit of my life getting near the top of the national leaderboard...I really should drop it. That's pretty impressive for only two years of work. I'm not a very visually talented person and feel like reaching that level would take me quite a bit longer. Some cool stuff in there man. That's pretty cool! You say program drums, so you aren't playing it yourself? I haven't really heard of people doing this. I'm currently studying Computer Science and am a programming hobbyist. This is exactly me as well. Besides classes, homework, and my job, I am working mostly on my main video game project (see signature). I am planning to become a game designer as a career. (In the meantime I work at a computer support help-desk). I spend most of my free time with friends or playing games. Stuff on my Nintendo Switch or else Minecraft at the moment. My dorm floor has a server we all play on together. Most of my hobbies are related to game design. Painting, drawing, playing music, etc. I'm also getting back into boxing, and then judo as soon as I visit Japan again. I guess learning Japanese will be a "hobby" again soon, too. The exceptions for games is stuff by friends and amateurs. I love following games and seeing people learn and become better designers and artists and stuff. Always cheers me up. Nice to see people working hard, and people who don't "know all the rules" do interesting things sometimes. I most love GM because of this. IndianaBones and Cloaked Games like this. By "programming" drums, I mean I use a drum software and just key in the beats. Its not literally programming. My hobbies is art. I do ton of great artworks and even studied art at the university. Mostly now the closest youll get art from me is my digital spriting for games. Of making videogames is another hobby I have and the most active one atm. It lets my imagination come to life, in an interactive universe. Although building is just another story which is kind of like legos but in form of math. Of making videogames is another hobby I have and the most active one atm. It lets my imagination come to life, in an interactive universe. .
Thats a nice way of putting it! Also studying IT but getting bored of it. The more I program in other languages, the more I want to just program in GMS. I've been playing guitar for over 15 years, so I enjoy playing that and writing music. I like to write music for my games, but I also love to make covers and remixes of video game music(some of which is on my SoundCloud). I also play bass and drums. I've always liked to draw too, but rarely had time for it. But recently I've been putting more time aside for it, which led me to taking a class on animation last year which was fun. All of this comes together nicely for making games fortunately. @pixeltroid What do you use to program drums? I've tried some trackers but they're too fiddly for me. I use FLStudio 5. Yeah, its outdated but its enough for what I do. I do have a number of interests and hobbies, outside of game dev. I like reading, both books and articles. I used to show a preference for non-fiction, but these days I read fiction too. My old genre was sci fi but these days I don't read so much of it, and it's hard to really say if I have a specific preference these days about what I read. I also enjoy playing tabletop games. Now people seem to think I mean tabletop RPGs but what I mean is stuff like chess, Old Maid, dominoes, and stuff like that. I'd have said board games, but that strictly speaking excludes card games, tile games, peg game, and a whole lot of stuff, so I just say tabletop without meaning RPGs. My favourite board game has got to be shogi, which some who knew me probably knew this already. It's the Japanese form of chess, where captured pieces can be "dropped" back onto the board as part of the captor's army, and most pieces could promote. I also enjoy janggi (Korean chess). Music is another interest/hobby of mine. I started a music thread talking about my story but in short, I grew up only on classical and only recently did I discover my curently-favourite genres of surf rock and swing. Music as an interest would be me liking to read about music history or composers/artists and listening to them, whereas as a hobby I like arranging. I would also compose but I have this inferior complex thing where I feel nothing I compose would be good so I tend to play arrangements. I also enjoy drawing and writing (moreso non-fiction than fiction) as side hobbies, but I just do them occasionally (especially drawing) and don't particularly dedicate a lot of time to improving those cause they aren't my main hobbies. My interests include retro-gaming, fairy tales, youkai (monsters in Japanese mythology), and linguistics. I separate them from hobbies because those aren't activities I do but more stuff I love reading/watching videos about and discussing. Though since I started university, reading up on linguistics has become more of a school thing than a hobbyist thing I suppose cause now it's necessary rather than for fun. Retro-gaming has been fascinating to me from a programming perspective due to the constraints the programmers had to get around back in the day to show the players what they want the players to see/imagine seeing. I used to have a linguistics project where I make a system for conversion of pronunciations between Chinese characters in the languages that use them (the main langs I use as sources being Mandarin, Cantonese, Japanese, Korean, and Vietnamese). However since I started university I've put it off due to time. I consider Alice in Wonderland a fairy tale although many of my friends don't. To me, it has the same appeal as a fairy tale. Little Red Riding Hood, Hänsel and Gretel, and Through the Looking-glass are my favourites. I'm pretty heavy into photography (mostly city and nature landscapes but I do branch into other areas). I've actually made a decent side-gig out of selling prints online which allows me to travel fairly regularly which is another thing I love. Hiking/weight training/fitness in general is another big one for me. I can't go long without getting into some form of activity. I've gone long stretches into running and cycling too. I've done a few of those obstacle course races like Spartan/Tough Mudder etc. Lately it's been mosty game dev (especially learning how to create sound, music and artwork lately), photography and weight training that's been occupying my free time. Come the warmer months hiking will factor in again. Animal photographer in that particular case. You can have another look at the picture. I like traveling, watching trains, going to the subway, mostly shopping for stuff that I don't need atm, but in the future. I plan on becoming a photographer of touristic areas and interesting places, weddings and etc. I rarely compose my own music. Draw a few times per month. I'm mostly busy with the routine and cleaning up my devstation, so I have little time to do those including game development. Outside of game development, I personally enjoy drawing in my sketchbook ( Still trying to find a way to do it in my pixel art ), listening to music, going bowling, go karting, watching horror, comedy, and romance flicks. Game Making is a fun hobby of mine and someday i'd like to make it into something more. 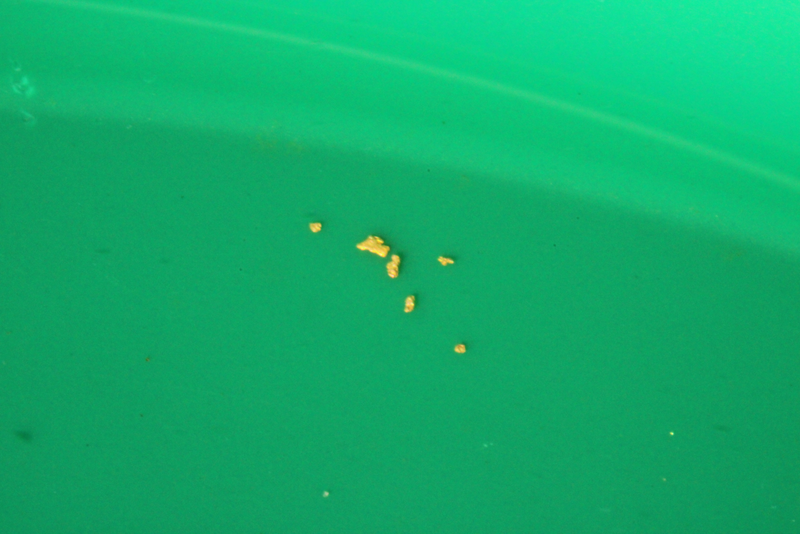 I have been panning for gold lately. 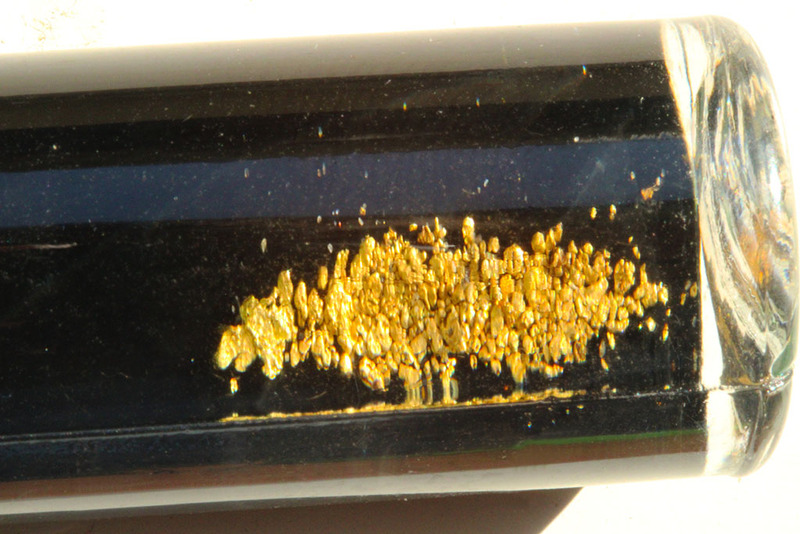 I had no idea there was so much gold just 10 minutes from home in these local rivers. Just went for a one hour go today. Looks more impressive in the pic than in real life though. woodsmoke and RichHopefulComposer like this. And I thought you were joking; I want 10% of all sale. I've decided I got copyright in these rivers! I like to draw and have been more active in the last two years. Some of my pictures are uploaded to deviantart. I also love playing sports (but not watching on TV). Mainly basketball and running/jumping. Also enjoy gardening and we have a dog now which eats alot of my free time. If anyone copies the rivers, you'll be the first to know. Don't worry, these are just specs. Taken with a decent SLR with a good macro lens. Biggest one in this pic is about one millimetre across. I only decided to give it a try a few weeks back, so I am very new to it. It's never too late to start. My newfound gold collection is getting bigger by the week. Still not worth anything yet though, but I do it more to get out and about. It's amazing to know you can pull something from the ground so easily with not a huge amount of effort. I'm planning on heading out again tomorrow to a place that I found all on my own, last week that I found a few specs in. Was pretty proud of that achievement. Found a few cool places in my area now. ElegantMistake and Siolfor the Jackal like this. I spend a good bit of time working on websites (but web design is my "main gig" so I guess I can't call that a "hobby" anymore.) Let's see here... I enjoy candlelit dinners, long walks on the beach, and getting caught in the rain. I also play the guitar, practice lucid dreaming, and meditation. 'das about it.